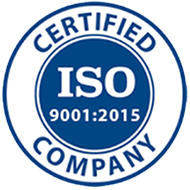 Futurism Technologies has got a new reason to rejoice as the company has successfully acquired ISO 9001:2008 Certification on March 12, 2013. The company has indeed earned the honorable accreditation by The Certification Body of TUV SUD AMERICA INC, after completion of the stringent audits and protracted evaluation processes. The esteemed certification emphasizes on and indicates towards the presence of a highly effective Quality Management System adhering to the highest International Standards. This would eventually keep our clients and stakeholders assured of our world-class services. PUNE, Maharashtra, March 12, 2013 – Futurism Technologies has acquired the ISO 9001:2008 Certification on March 12, 2013 as the company successfully fulfills all the requirements and adheres to all the norms of standards and efficiency pertaining to service provision, customer service and client retention . The Certification Body of TUV SUD AMERICA INC. has accredited Futurism Technologies with the honorable certification after completing all the stringent audits and protracted evaluation processes.  Futurism successfully proves to be worthy of the achievement as the company has been following highly effective Quality Management System and progressive methods to enhance the quality, relevance and value of its services. The ISO 9001:2008 Certification earned by Futurism covers the scopes of Software Product Development, Internet Marketing and Brand Consulting Services and Sales and Marketing of Software. The certification that is developed and published by the International Organization for Standardization (ISO) entails a series of standards, which define an effective quality assurance system that acts as a guideline for service and manufacturing companies.